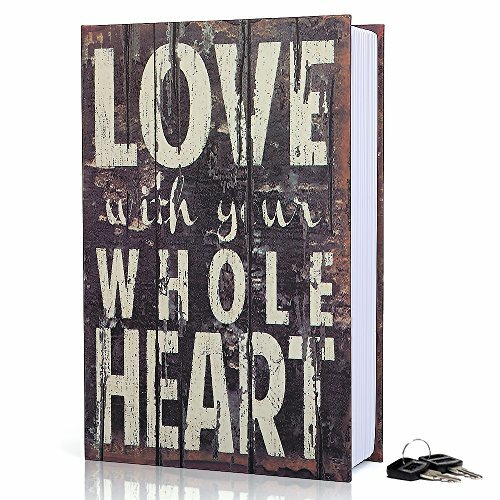 Package List: Book Safe(7.1*4.6 * 2.2 inches) * 1, Keys*2. 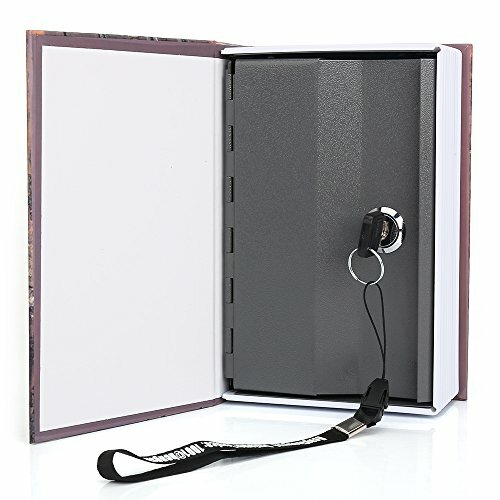 Hide your valuable items in plain sight with the Hengsheng secret book hidden safe with key lock. 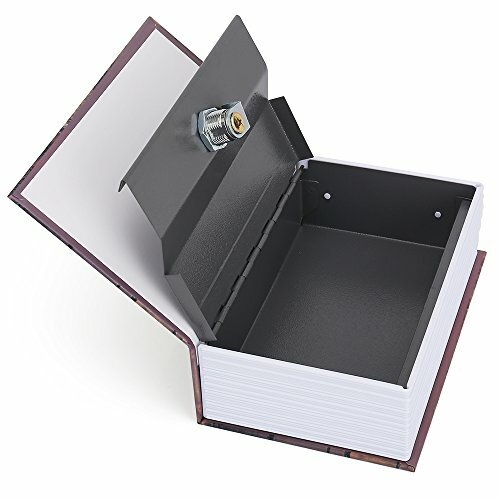 Help keep your valuables safe with the Diversion Safe by Hengsheng. 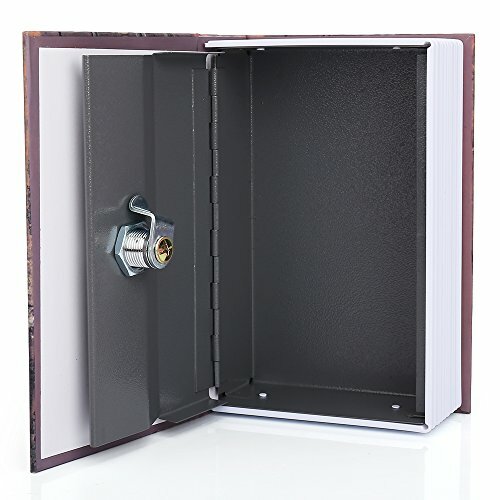 This book safe with lock key looks like a real book and will easily blend in with the other books on your shelf. 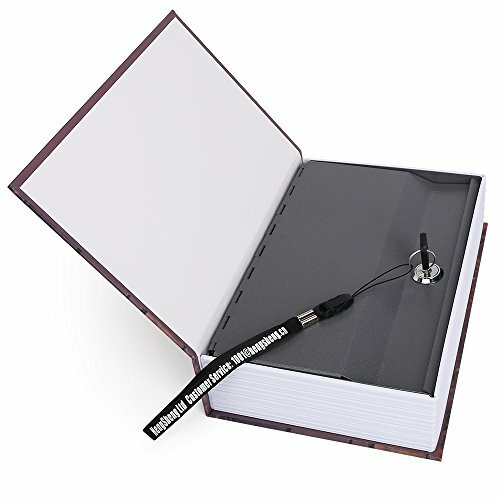 This book safe is perfect for home safety or for traveling with valuables/cash. 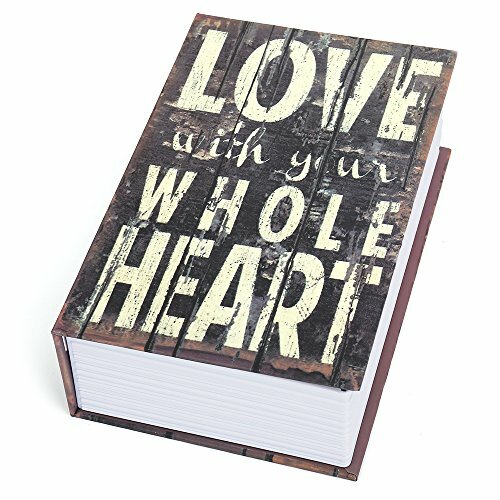 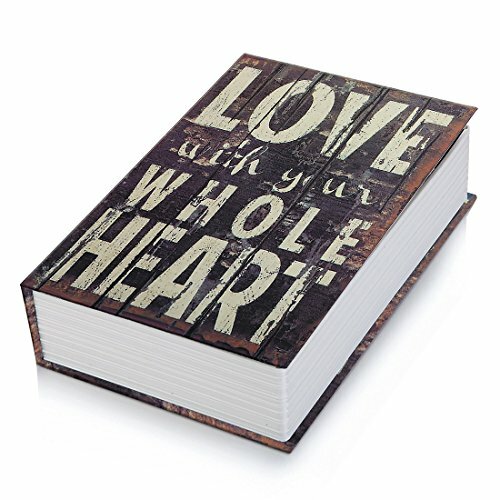 It simply fits on a shelf or bookcase, in a carry-on/beach bag, or rests easily in plain sight on a coffee table or night stand.